The committee took up the investigation following a complaint from Pam’s community, accusing the contractor of poor quality water supply connection works in the school. The school got the new water supply in July, last year. On the other hand, the contractor said he has not decided anything against the committee’s finding. It was Pam Primary School that had initially accused the contractor of poor quality of works. 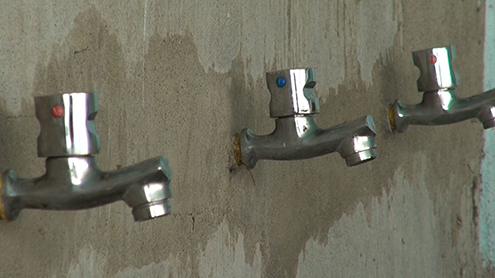 Kelzang Tenzin also said water taps in the school keep running dry causing inconvenience to the teachers and staff. The pipe has cracked open at several points, he said. Chador Phuntsho, who was the then site engineer, agrees the contractor has not buried the pipes properly. The school authority had to temporarily fix the pipe many a times. The contractor carried out the water supply and other construction works at a cost of Nu 2.5 M with funds from the Asian Development Bank.